Good news! 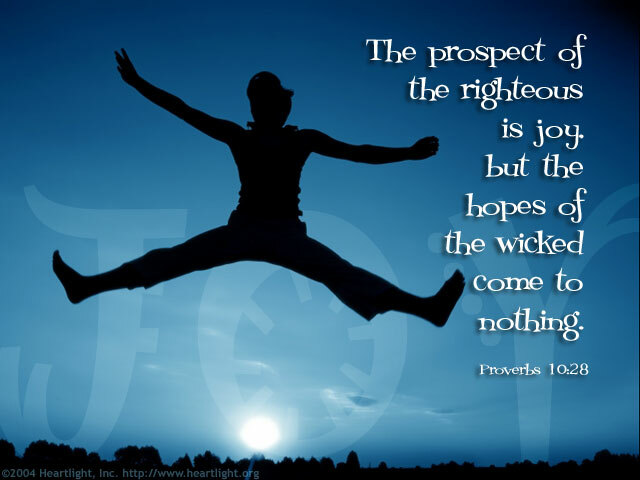 When we seek righteousness, justice, holiness, mercy, and godliness, our future is full of joy. Don't let the darkness around you steal away the glorious dawn of joy that even now has begun to appear. Father, please forgive me for the times I've grown depressed and melancholy over the condition of my world and culture. Thank you, dear Father, for the promise of victory and of glorious blessings that lie ahead. Please help me keep my eyes on your victory. In Jesus' name. Amen.